Girls Gone Green is always looking for new and fun ways to clean. 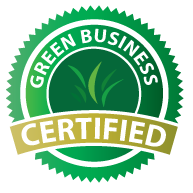 We have had the opportunity to test and create many different types of eco-friendly cleaning products. Through the trial of different products and, recipes we have been able to find what works best! These D.I.Y products are used everyday cleaning homes throughout Canmore, Calgary, and Bragg Creek. Below are a few recipes for cleaners, and ways to utilize them around your home. These are the recipes found to be most useful and effective. Eco-Friendly cleaning does not have to be costly or more work. By utilizing these you will be able to save money, clean better and help reduce harsh chemical products in your home. In a spray bottle combine the following and apply to areas where our 8 legged friends hang out. This works best when applying to windowsills and doorways. Spraying this on different materials like suede might leave a residue. We recommend testing the product in a small area first before spraying. Apply this solution to areas in the house once a week for best results. This product is great for oven cleaning and hard stuck on stains. In a mason jar combine the following ingredients and let them sit 1-2 weeks before using. 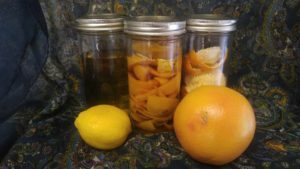 If you do not have all of the different citrus peels do not worry, it is just as effective with 1 or 2 from the below list. Put this solution into a spray bottle to help tackle stains. Create a paste out of baking soda and water and spread this paste over the oven, let it sit 24 hours for best results. Then spray the vinegar degreaser solution, over the baking soda paste and wipe away. This cleaner can be used on many different surfaces. It smells amazing and is also great for disinfecting. In a spray bottle combine the following. Combine these two ingredients then add them into your washing machine, run the cycle and see your whites shining bright again! You come home after a long day at work, the clean house you left is now destroyed by either your children, dogs or roommates. You feel the mess is too great to leave so here is a nice calming cleaner to relax you while you rage clean your home. I guarantee after this is finished you will feel better. Drink the bottle of wine, turn up your favorite music. Then combine water, vinegar, and essential oil into a spray bottle and voila you are now ready to clean! I hope you found these recipes helpful for creating a more eco-friendly household. After trying these you will see how easy, cost effective eco-friendly cleaning can be!